From our modest start as a lens grinding and edging workshop in the 1950s, Nanyang Optical has served more than three generations of Singaporeans to become one of Singapore’s largest optical retail chains. With strategic locations across the island, we have entrenched ourselves into the fabric and lives of countless Singaporeans, helping them see better, look better and feel better every single day. 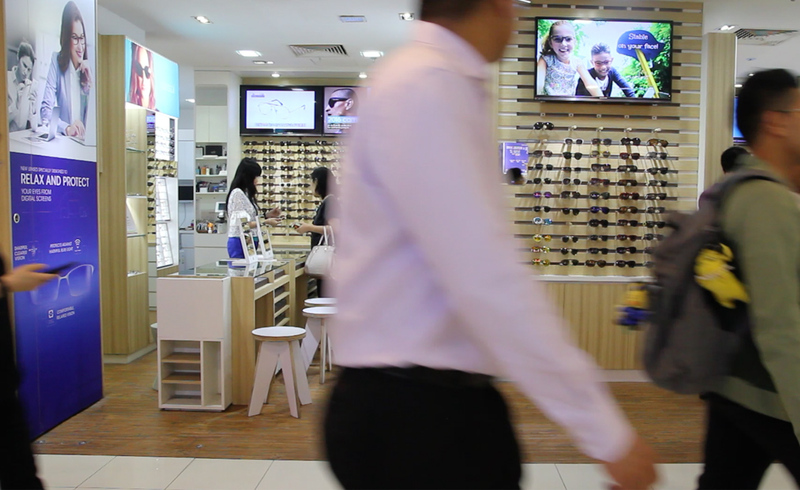 At Nanyang Optical, we deliver holistic eye care. Starting with professional consultation and eye checks, to prescribing vision solutions matched by niche and unique eyewear to suit all lifestyles and needs. We achieve this through a vertical integration of all aspects of the optical industry: From design and manufacturing to distribution and retail., most importantly, through listening to your needs. Backed by 60 years of experience, we continually study your evolving needs and buying habits, as well as invest in research and development to keep pace with design, technology and health trends. We then translate our knowledge into precise prescription and consultation, as well as the design, manufacture and retail of exclusive brands. Having served more than 3 generations of customers, we witnessed changes in the buying habits and preferences of customers. With this, we developed retail concepts to cater to different customer groups. Alexis Eyewear Boutique represents the epitome of eyewear fashion and exclusivity, housing an extensive collection of designer and fashion brands for trendsetters and discerning fashionistas. Sport On Eyewear is the professional vision coach for sports enthusiasts and active individuals. We provide active optical needs and quality eye protection. Embrace the sportitude! Our exclusive house brands Urband, Glossi, Eyelet and Nature Eyes are widely distributed throughout the world. Besides Asian countries like Singapore, Japan, Korea, China and Hong Kong, our office in France manages the export business for the European Union and the USA.